It was a trying time. The organization would face severe consequences unless they could implement a fast solution. The new headquarters site in Southern California would not be able to open its doors to children in need. Easterseals provides opportunities for people of all ages with a range of disabilities to achieve their full potential. They are listed in Forbes Top 100 Charities, and serve disabled children and adults through a nationwide network. Their services include information, therapy, early intervention services, camps, and employment placement. By serving 1.5 million disabled persons, their organization impacts several million clients and families. The Easterseals organization recently opened a new location in the Southern California region. An order for fiber Internet service with a well-known, nationwide fiber provider was unable to deliver the desired bandwidth within a previously established timeline. This was after Easterseals personnel constantly trying to obtain updates or feedback on the project. The client was only days away from opening the new site, including a weekend. Bandwidth. They needed a large amount of sustainable bandwidth. Speed. They needed a total network installation within a matter of days. Results. They needed fast and efficient industry experts to get the job done in a short time. Reliability. They needed a solution to sustain operations that cannot withstand interruptions. MHO was happy to step up and provide a solution when no other local providers could do the job. In less than 72 hours, we were able to negotiate, deploy, and hand off a connection that allowed an enterprise organization to maintain business continuity and reputation. The client was extremely skeptical and anxious throughout the process, but MHO was able to calmly ease their worries and provide an exceptional solution for their problem. MHO worked over the weekend to install a 200 mbps enterprise connection. The client had internet on Monday morning when they opened the doors to their new site. 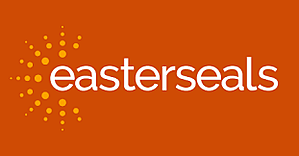 Like most businesses and organizations, Easterseals believed a major, well-known fiber provider would provide everything they needed when required. But like many others, they fell through the cracks of an overloaded provider with poor customer service. That’s where MHO can demonstrate how customer service should really work. We can provide fast and reliable enterprise-level Internet solutions and personalized service to get your company or organization up and running in a fraction of the time of the big-name providers. And you won’t have trouble finding us when you have questions or additional needs. Call us at 1.800.WANT.MHO to find out how we can help YOUR business. Is Business Internet Right for Your Company?